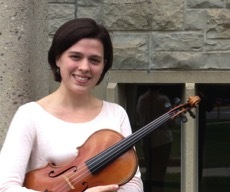 Lindsay (violin) was born and raised in Juneau and has participated with many musical groups locally and in Salem, Oregon, where she received a Bachelor of Arts in Music at Willamette University. Heidi (violin) grew up in the rural Yukon Territory near Whitehorse and is passionate about the arts, culture and healthy living in the lives of children and youth. She graduated from the University of Alaska Fairbanks with a Bachelor of Music in Violin Performance. Sophia (viola) has a Bachelor of Arts in Music from St. Olaf College. She is classically trained, but also has a love for enthnomusicology and folk music. Sophia is interested making music in order to build stronger and more peaceful relationships and communities. Ruth (cello) has a Bachelor of Music in Cello Performance from DePaul University and has dedicated her time to teaching in various El Sistema programs in Chicago and Trujillo, Peru.